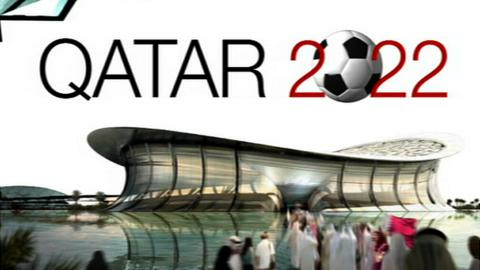 Fifa has confirmed that the 2022 World Cup final in Qatar will take place on 18 December. A Fifa taskforce recommended last month that the tournament should be switched from summer to winter. The decision to hold the final on 18 December means Britain's traditional Boxing Day club matches on 26 December can still take place. In another key decision, Fifa has chosen France to host the 2019 women's World Cup ahead of South Korea. France will also stage the Under-20 women's tournament in 2018. Walter De Gregorio, Fifa's director of communications, confirmed the 2022 World Cup would begin in November and finish on 18 December. "Yes, we are going to play in November and December," he said. "And yes, the final is going to be played on 18 December. It's a Sunday and it's also the national day of Qatar." How will a winter World Cup affect clubs? Stoke City chairman Peter Coates told BBC Radio 5 live: "It's going to be very messy. We have to make the best of a bad job. The only saving grace is there's a long time to prepare for it." The decision to move the 2022 World Cup from its traditional June and July slot was taken because of health concerns for players. Summer temperatures in Qatar can exceed 40C. Fifa also indicated that the 2022 World Cup could be shortened to 28 days. It normally lasts for 31 or 32 days. Uefa, the body that governs European football, had pushed for the final to be as late as 23 December. However, that option attracted opposition from Fifa members, who feared it would cause problems for fans and players getting home in time for Christmas, as well as affecting club football's festive programme.